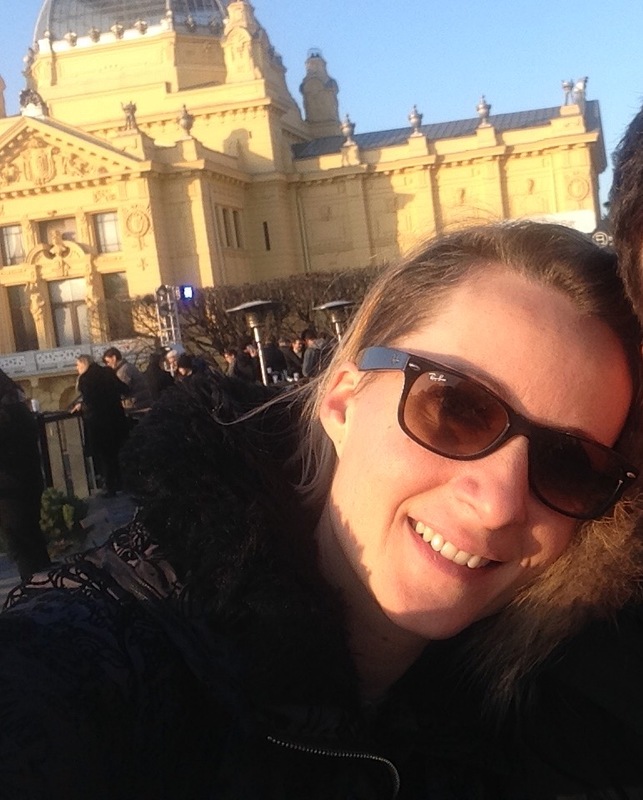 FunnyNotesBlog - Ordinary family in thrilling Moscow: Russian in Croatia or vice versa! Russian in Croatia or vice versa! So after four months in Moscow Russia, it was time to visit home. We went back to Croatia for two weeks to get some sun. Yes, amazing, this global warming thing is cool because we get to enjoy real springtime in Croatia. People have warned me about lack of sun in Moscow, but you don't really understand it until you have no sun for a month and then you have it every day. Now, after charging up batteries I think, or more hope, we will be able to fully enjoy Russian -20 celsius. One day i was filming for Croatian television how Moscow celebrates new year. It was only -5 but it was like -30 for me. I realised it when I tried to pay for metro tickets, and a line of 10 people formed behind me, because my hands were so frozen that it took me five minutes to pick up the coins lady returned to me. People behind were not so thrilled but at least nobody screamed. Its really nice being home but our social life is a bit over the top. I think I have not seen so many friends in such a short time when I lived here. At least I don't have time to fight with my family, we rather leave that for Skype. Kids enjoy so much that I think I will need to drag them back to the plane.The presents we brought went great, but I think that there will be quite many people in Zagreb now with Putin T-shirts. We also visited the best advent of Europe this year - Zagreb. It is really amazing and so different from Moscow. It really depends what you like but Zagreb is small cosy and they really managed this year to make it a dreamy wintery place. Although temperatures were over 15 celsius most of the days. Moscow is big so everything needs to be big, decorations, markets. Just very happy that prices of hot dogs and hot vine are affordable although you drink it on red square. Major issue I have now is heating in our apartment in Zagreb. In Moscow you cannot set heating on certain temperature. In our apartment only one radiator is open and constant temperature in the apartment is 26. It is great when you do not move. But a second you start doing something in the apartment you do it in a bathing suit. The worst thing I saw is that in one hairdressing salon they turn on air-conditioning to cool dow the place because you cannot control heating. But now I have big issue in Croatia. Here heating turns off during night and during day you put it on 22 celsius. I AM FREEZING. I think I have two paris of pants and a three warm sweaters in the evening when we watch TV. My husband says I should start doing all the cleaning in the night, so I would not be cold. Think Russian system suits me better.